With InLoox, all team members are always up to date. In teams, there is much to be discussed and team communication and coordination are very time-consuming. 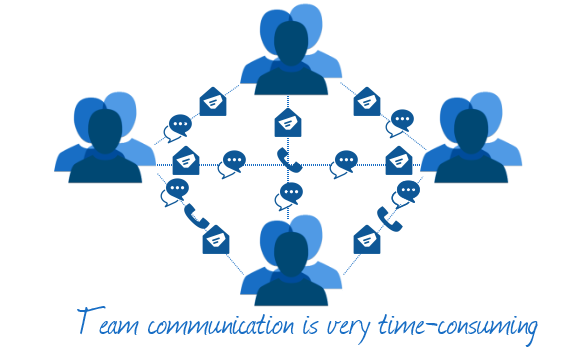 Many team members have the feeling that they spend most of their time in meetings, on the phone or answering e-mails. It might happen that some employees suffer from information overload, whereas others miss information that is important for them. Sometimes, there is only time for tasks that require concentration early in the morning or late at night. 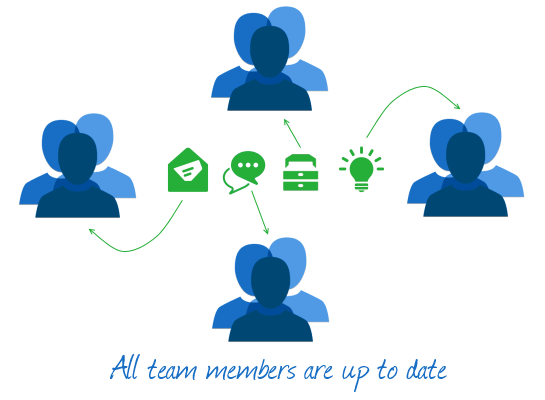 InLoox connects all team members without being in the same office. It combines all relevant dates, tasks, and documents on one central platform. All information is real-time up to date. Accomplished tasks are reflected immediately in the visual project overview. If changes are made to project elements, team members are notified automatically if they have activated the auto-notification mode. With InLoox, all team members are always up to date and they have more time for the tasks that really matter. Learn more about the InLoox solutions. Find out how InLoox can facilitate your everday project work. Test InLoox for 30 days and download your free trial now. Team communication • Copyright 1999-2019 © InLoox GmbH. Tutti i diritti riservati.